It’s been record-setting hot lately. Just ask the National Oceanic and Atmospheric Administration (NOAA), which just released data showing that this was the warmest winter in the continental United States in 121 years of record keeping. Those of us in the know are familiar with the correlation between hotter temperatures and rising greenhouse gas emissions. This is pretty much the foundation of global warming. 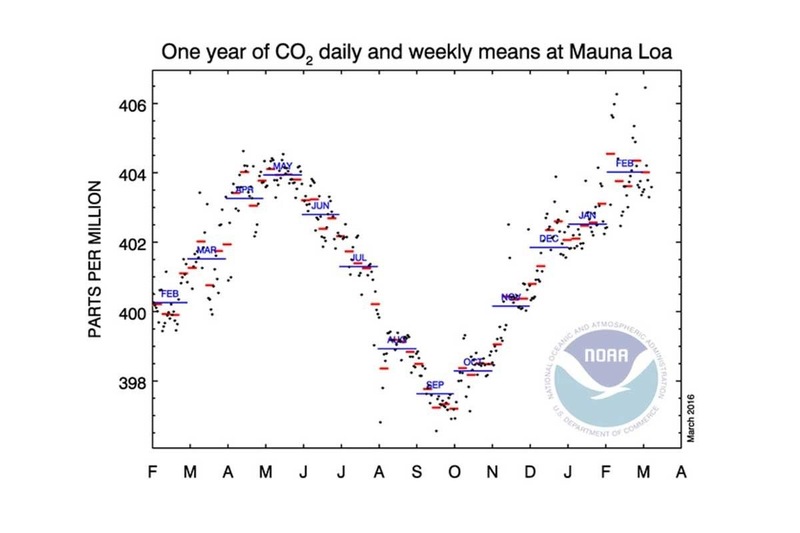 New data from the oldest carbon dioxide tracker on the planet—located in Mauna Loa, Hawaii—shows that carbon dioxide levels are also elevating to new, unprecedented heights. 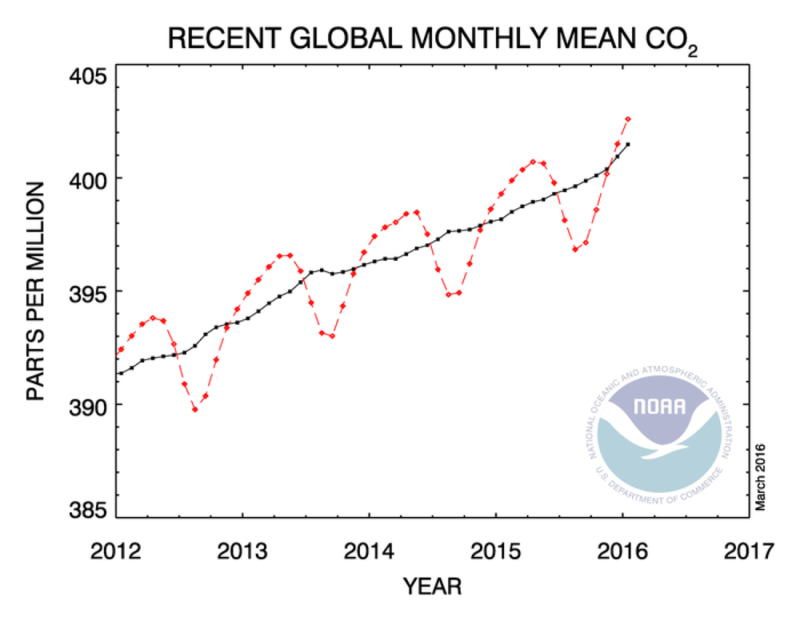 According to preliminary figures from the station, which is managed by NOAA, the average carbon dioxide level recorded during February 2016 was 404.02 parts per million—3.76 ppm higher than the average for February 2015. If this data holds, it will represent the biggest ever increase over a 12-month period since the station started taking measurements in 1958. 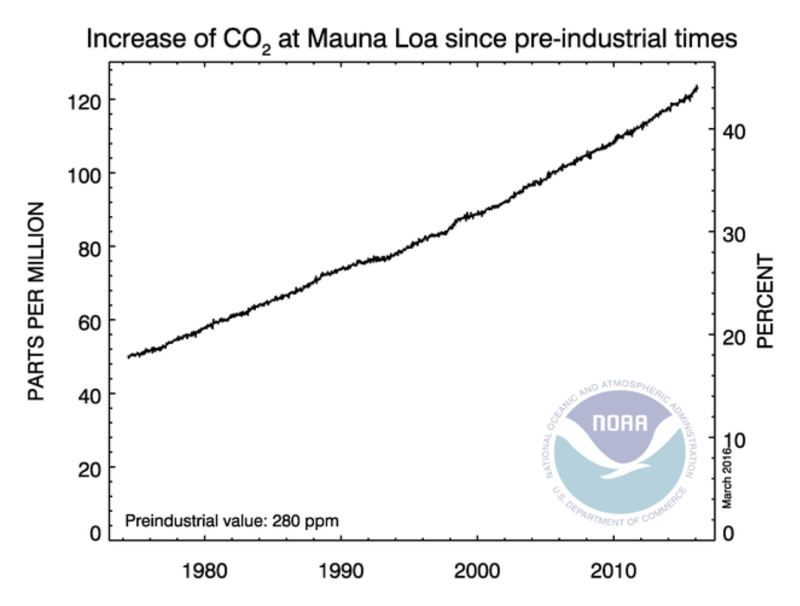 The previous 12-month record at Mauna Loa was 3.70 ppm, from September 1997 to September 1998.